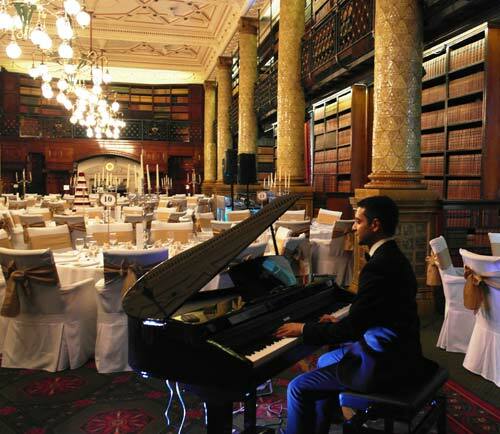 This professional pianist specialises in performing Bollywood music for weddings and events all over England and has performed at over 1000 events worldwide. 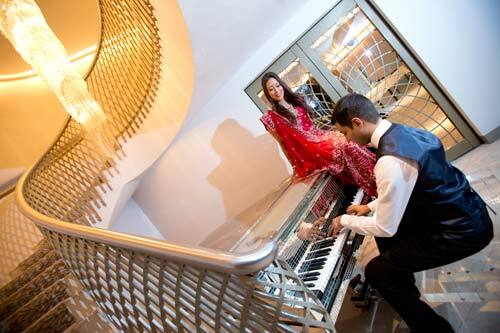 This professional UK based Bollywood pianist is available to hire for weddings, civil ceremonies, cocktail parties, and corporate events. He is passionate about bringing Bollywood music to life on the piano and over the past 17 years has performed at over 1000 events worldwide. This a gifted musician has the unique ability to mix the magic of Bollywood with the graceful sound of a piano. Owing to his excellent musical ear, he is able to play arrangements of any type of music simply by listening to it. He specialises in bollywood piano, but is able to perform an array of styles including jazz and western pop. He offers a unique selection of skills and a vast and massive repertoire of Bollywood songs stemming from the early 1950’s right through to the present day. Each song has been beautifully arranged by him especially for the piano. Any song/medley can be prepared especially for your event. For example he can work with you to produce a personalised musical message for your loved one. Able to accept ‘on the day requests’ from the audience. A versatile vocabulary of songs covering bollywood, pop, and jazz genres. 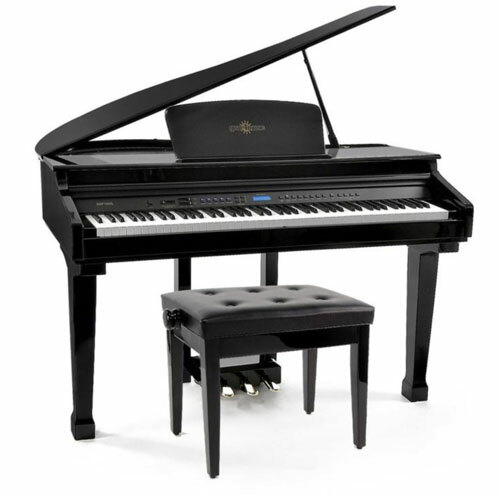 Stunning acoustic and digital pianos are provided with professional amplification and elegant lighting. 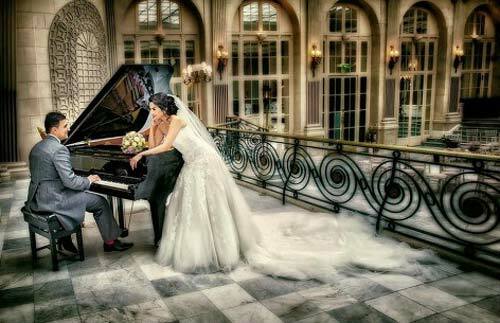 Let him gracefully set the mood as your guests assemble at the drinks reception or allow him to produce a personalised musical message for the bride & grooms entrance? 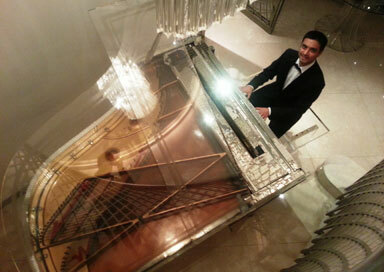 His beautiful piano arrangements make a great accompaniment to the main meal while guests are dining. 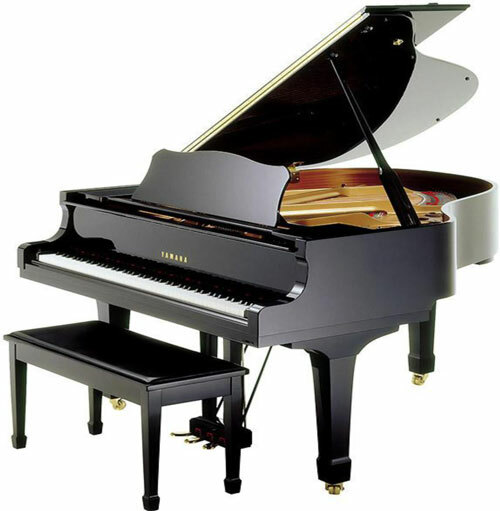 Piano music guarantees to create an ambient atmosphere making your event classy and memorable. He offers very reasonable prices for a top-notch service and is a true professional from start to finish. He also happens to be a fully qualified medical doctor who specialises in cosmetic treatments. As a result he provides emergency on-site medical cover at no extra cost! This is all about setting the mood for meeting and greeting. He will provide gentle background music as an accompaniment while guests mingle. Music played during the meal creates a wonderful bright atmosphere. Everyone can sit back, relax and enjoy the meal. Most couples have a special song which is significant and meaningful to them. He can perform the first dance song as a solo piano piece, or alternatively provide a piano accompaniment to a backing track for a more dynamic impact. No piano? - No problem! 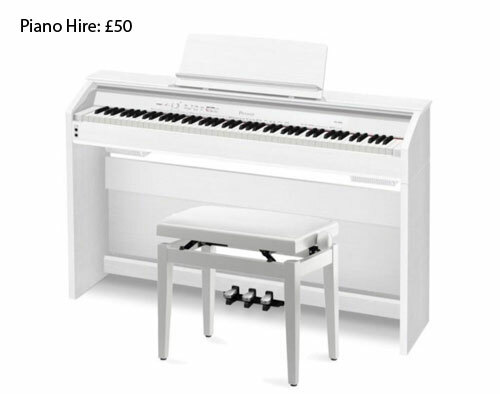 Whether it is a classic country garden wedding, a timeless vintage wedding, or stylish contemporary wedding, he has a range of beautiful pianos to choose from. 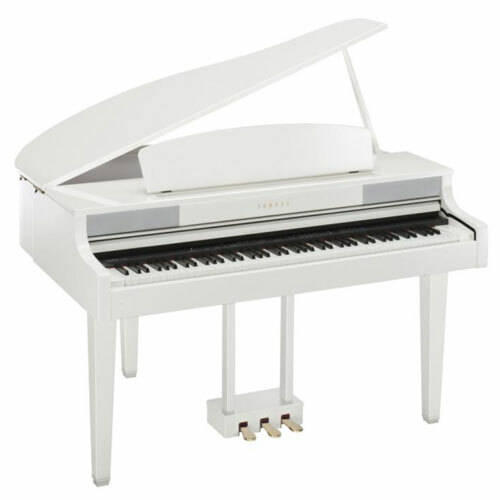 The grand pianos in particular are perfect to listen to and will make an elegant addition to any wedding event. 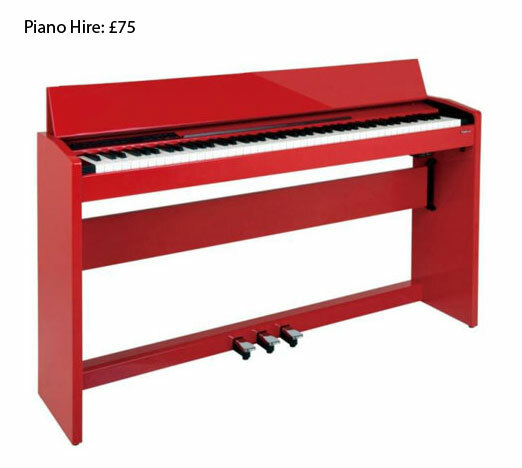 Prices vary depending on the type of piano. A live piano and violin duet is simply a match made in heaven. 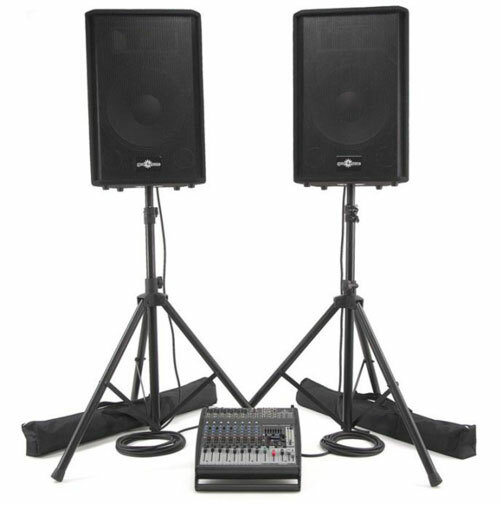 He is able to provide a full professional amplification system to play background music throughout your entire event. Let him cater for all your wedding entertainment needs.